Twitter's best attribute is its 'newsgroupthink,' which lets the user DJ as many services as possible, unearthing what would be highly stable research individually, and combining it with other sources, even fields. These two articles below both deal with differing ideas of Norse mythology and statistics. One is from a past, histories that actually unfolded (like the Illiad) and was then encrypted into mythology. A recent statistical study deciphered these ancient myth's social structure of its characters and found them to be realistic. The research suggests the myth evolved from real events and real participants whose tales were structured into posterity and have lasted time until now. The other is from a highly technological present, the on-line game EVE, which was designed by Icelanders and offers a tabla rasa galaxy as a playing realm where users create their own saga against the vastness of space. Statistics are evidenced at every level of EVE and help users to become leaders and warriors of any number of types and qualities. Mythic events take shape as players evolve the game beyond the basic rules of diplomacy and subterfuge is employed. Both articles have numerous crossovers. Viking sagas decrypted through stats: http://nautil.us/blog/vikingstheyre-just-like-us-social-networks-in-norse-sagas? This monumental 9 hour, three-part 2003 documentary observes the effects of China's switch from communist to state-capitalism, as the northern Shenyang region's once mighty industry collapses. It could be one of the greatest films of the documentary genre. Factories are closed, families disperse, misery expands and the area reveals long term effects of failing infrastructure in the face of competition from a newer, rapid-growth China. Bleak, unsettling, remarkable. All shot in DV. It may change the way you look at the environment, capitalism, and the human impact on earth. Parts 1 & 2 shown as a part of MoMA's Chinese Realities/Documentary Visions. "Margaret Thatcher’s main achievement, you might say, was to move the spiritual headquarters of the Conservative Party from the Carlton Club to the working-class housing estates of Britain. She always slightly hated England’s elite, or hated the idea that you couldn’t have an elite of shopkeepers, and by the end she left Britain a greedier and seedier place. Despite the pomp and circumstance of her funeral and the many plaudits she has garnered since her death, her great experiment actually didn’t work: the people who could get rich got richer, of course, but she and her followers had no plan to relieve the economic misery that befell the others, the people who were now forced to live on state benefits, which continued to grow. It is the communities of the other—where no new investment took hold, where no new jobs came to replace the ones that were scrapped—that continue to fester in modern Britain." This was to be Tarantino's homecoming. As a son-of-the-south, QT has slipped his homestate Tennessee among thousands of other references in his now extensive library. Tennessee is Butch's escape haven in Pulp Fiction, Aldo Raines (Inglourious Basterds) is a descendant of Tennessee persona Jim Bridger. Like another southerner, D.W. Griffith, Tarantino visits the antebellum at his own peril. And where Griffith plowed into a fantasy revenge on behalf of the owners of the south, Tarantino charts a revenge brokered by the other side. It has the beats, all the verbal wit, the endless exploitation riffs, all the logical fury of canon QT, what it lacks is Tarantino's knack for emotional bonding carried by carefully plotted visuals. There are glimpses. Only few moments bring back the narrative dementia of days of yore Quentin: in a cabin of mumbling trackers, a kerchief-masked Zoe Bell peers into an 1800's stereogram viewer. As she slips it in, the focus narrows and we get an unsettling sensation of 3-D as the images combine. In the view is an early photograph of the Parthenon, in the foreground are what appear to be slaves. The image serves a few purposes: it's an indictment that savagely skewers our current 3-D technology, a wry director's statement to the audience: "I'm not going 3-D, but I'm going to doctor this image and make you think it's real using a 3-D effect." And the image isn't merely a technological comment, it historicizes the film's themes by placing slaves in the ruins of a culture that became powerful through the economics of slavery. Even better, it's a comment on the greek revival in antebellum architecture, Candie's plantation bears a passing resemblance to the Parthenon. That hint is: slavery will soon be history. That's about 8 seconds of screen time. Bruce Dern as the owner that sends Django and his betrothed into the open market, carries the only other moment of sheer brilliance. He peers down on Django like a demonic billboard high above Times Square. He's the real monster to slay. Surrounding these moments is an overwritten, underacted retread of themes already broached in the more developed Inglourious Basterds. Want to know why Django Unchained isn't up to speed? 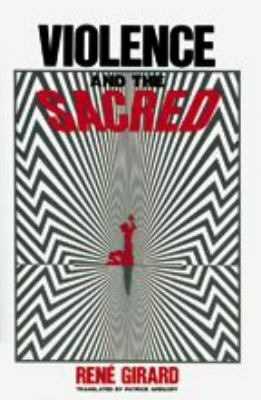 Try reading Rene Girard's Violence and the Sacred. He knows the how-why-what of violence coded in ancient myth. The basic gist is: spilled blood, sacrifice, revenge are all elements of basic human rituals. QT is a director who specializes in modernizing ancient bloodrites (as well as spotting and raiding B-movies that did the same). All that tension and release we've been experiencing in his films isn't merely bloodlust. It's the control of bodies, of imminent fears, not merely the rage of revenge. Until Django, Tarantino's main characters were validated semi-mythic, experiencing death (Kiddo in Kill Bill), defying death (Vincent and Jules in Pulp Fiction, Shosanna in Inglourious Basterds) and dying to serve mythic requirements (Vincent in Pulp Fiction). The most realistic myth of his is Resevoir Dogs, where impending death sanctifies Mr. Orange (Tim Roth) so much so that Mr. White (Keitel) is willing to kill for him. There, and before Django, the emotions are symmetric. In Django, death comes down to earth as merely a plot mechanism that decides how the next scene will be written. It breeds no symmetry either visually or emotionally. Where the death of Vincent and the escape of Butch work hand in hand to fashion the offscreen myth (literally the "pulp fiction") that Marcellus is forced to create to save face in Pulp Fiction, in Django no circle of logic levitates the film's body count into an unknown, metaphysical arc. The bonding forced on the heroes of Django is lifted entirely from Basterds yet it has none of the lyrical urgency of the earlier films. The label "charade" is applied by Christoph Waltz's characters in both films, even a brief German language scene inverts the English spoken in the LaPaditte farmhouse in Basterds. It's too similar without breaking new ground. But there are glimmers. For brief moments we're shown the film he should've made. They're earlier reminisces of Django as he relives escape and capture. The sequences are vivid off-exposure nightimes, chases out of B-movie hell, and a garish daytime POV of Bruce Dern. That was the real film, where Dern was the real plantation owner, and Django feared both life and death. The pivotal scene of Django, its 'philosophical moment', is the "Skull War" scene (see the book Skull Wars about Harvard's 1800s "race science"). Here Candie exhibits, then saws the skull of his father's houseboy, ostensibly the skull of Stephen's (Samuel L. Jackson) father. The soliloquy is handled with an almost apologetic fury, and it shows Tarantino blowing his best hand. Even though the skull is the wittiest of his visual parallels (to the white cake - both are cut - both are served after dinner - both are 'made' by African-Americans) it doesn't freak the audience enough, it's not truly demented. Problem is there's no relish, no surety in the ethnic science Calvin's preaching. It's all screamed by the boy-plantation owner as DiCaprio plays Candie. Tarantino's Nazi's were much more threatening because they remained urbane, calculating. Here the charade remains only a parlor game. The drama comes from a too mechanical sudden shift, a left-field reaction by Waltz (Tarantino has to force his hand with a cheap memory insertion - the unwilling mandingo fighter's death-by-dogs). The comedy comes from the audience's realization the father figure of the house isn't Candie, it's the skull's descendant, Stephen (Samuel L. Jackson). He's breached protocol, already seated in the library, warming himself a brandy when Candie enters for his fatherly talking to. The man charged with observing everything is really in charge, yet he's a slave outside this library. Both Stephen and Django have inner/outer performance masks. Outside, Django is a terror to his own ethnicity, pretending to be the Mandingo trading expert, while Stephen is standard issue Uncle Tom. In the privacy of Candyland's closed doors their masks come off: Stephen becomes the brutal father-figure, Django the lovelorn softie. When revenge comes, Django doesn't even shoot the the skull he's compared to indirectly, he just blows Stephen up along with the house. It's a bruiser's version of Tarantino, he's finally begun making the films he imitates. The former slave walking away from the same type of house Zoe Bell stares at in her stereoscope. This is the first of his films without any grand pulp fiction. Still worth seeing. Better than 99% of films in release. “…. I had no access to additional capital and I was forced into a difficult decision: Should I go out of business or cheat? I guess my ego was too big to admit failure. So I cheated, I falsified the very core of the financial documents of PFG, the Bank Statements. At first I had to make forgeries of both the Firstar Bank Statements and the Harris Bank Statements. When I choose [sic] to close the Harris Account I only had to falsify the Firstar statements [elsewhere in the signed statement Wasendorf noted that Firstar "eventually became US Bank"]. I also made forgeries of official letters and correspondence from the bank, as well as transaction confirmation statements. Using a combination of Photo Shop, Excel, scanners, and both laser and ink jet printers I was able to make very convincing forgeries of nearing every document that came from the Bank. I could create forgeries very quickly so no one suspected that my forgeries were not the real thing that had just arrived in the mail. With careful concealment and blunt authority I was able to hide my fraud from others at PFG. PFG grew out of a one man shop, a business I started in the basement of my home. As I added people to the company everyone knew I was the guy in charge. If anyone questioned my authority I would simply point out that I was the sole shareholder. I established rules and procedures as each new situation arose. I ordered that US Bank statement were to be delivered directly to me unopened, to make sure no one was able to examine an actual US Bank Statement. I was also the only person with online access to PFG’s account using US Bank’s online portal. On US Bank side, I told representatives at the Bank that I was the only person they should interface with at PFG. When it became a common practice for Certified Auditors and the Field Auditors of the Regulators to mail Balance Confirmation Forms to Banks and other entities holding customer funds I opened a post office box. The box was originally in the name of Firstar Bank but was eventually changed to US Bank. I put the address “PO Box 706, Cedar Falls, lA 50613-0030″ on the counterfeit Bank Statements. When the auditors mailed Confirmation Forms to the Bank’s false address, I would intercept the Form, type in the amount I needed to show, forge a Bank Officer’s signature and mail it back to the Regulator or Certified Auditor. Image: Discovered 1938 Glen Rose site, 80 miles from Ft. Worth Texas. Brontosaurus and Allosaurus-like footprints. Mark Cuban makes his case in the WSJ that high-speed trading constitutes a new form of hacking. His blogpost in 2010 goes into greater detail.